IT company iCity has been selected as preferred bidder to turn the Olympics media centre into a datacentre. 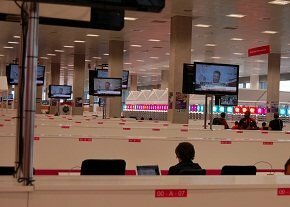 The company had been tipped to win the bid to transform the £350m Olympics media centre into a datacentre after the London 2012 Olympic Games. Under the bid it will host a datacentre, media studios, university facilities, a digital academy and a new business incubator. ICity claims a total of 6,600 jobs will be indirectly created as a result of the deal. The 31,000m2 building already has 1,300 internet ports and 600km of fibre optic and copper cabling. ICity said it will double the government’s existing infrastructure investment. Gavin Poole, CEO of iCity, said the win would help support the UK’s tech start-ups. “ICity will provide a sustainable legacy for the local community through the creation of thousands of jobs, apprenticeships and training opportunities," said Poole. "The incredible track record of start-ups and entrepreneurs in East London is growing at an impressive rate, and this is a chance to provide additional connectivity, capacity, investment and highly advanced infrastructure. "I am hugely excited that work can now begin on turning that vision into a reality."